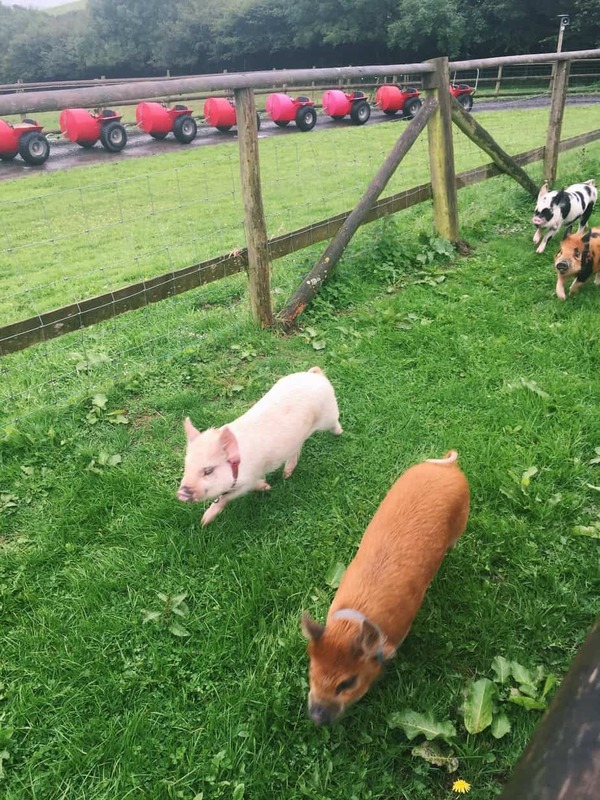 I’ve had a rather odd item on my bucket list for a while now… heading to Pennywell Farm to cuddle mini pigs! 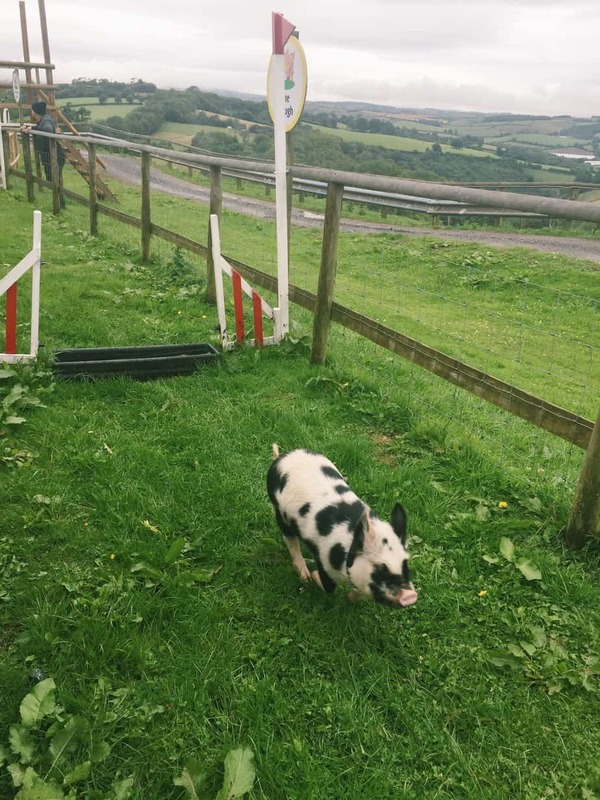 I’m not sure how I first heard of Pennywell Farm, but it’s been on my radar ever since I lived in Exeter almost four years ago. As I approach the end of my time living in the Southwest, I’ve been trying to tick my Devon and Cornwall bucket list items. Pennywell Farm had finally made it to the top of that list! As you are all probably aware from my recent instagram stress-captions, I have been in the throes of my MSc dissertation. 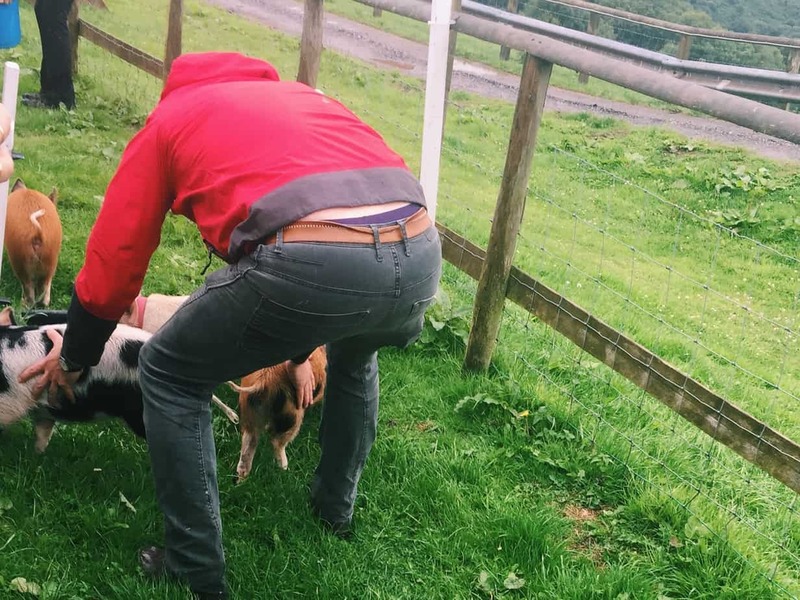 So a hard earned pig-cuddling session was definitely due!! 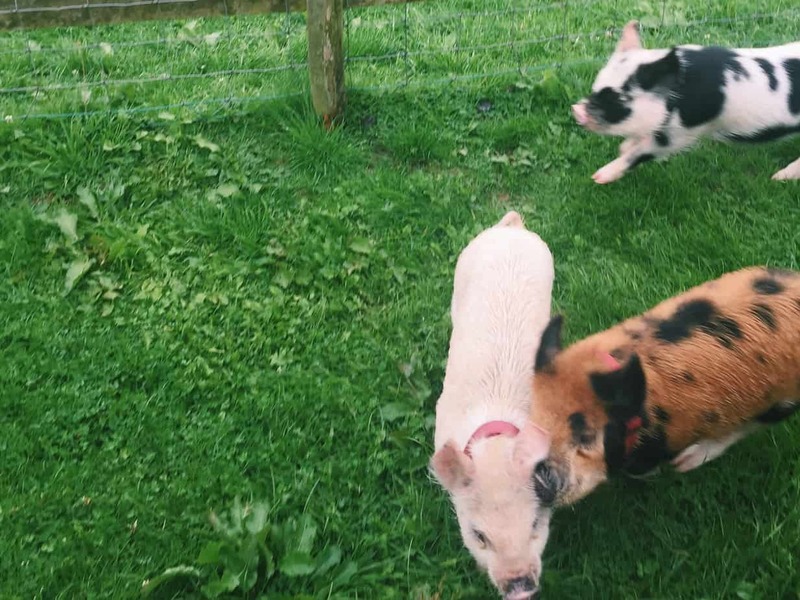 Mini pigs… need I say more?! Okay, okay, here goes. 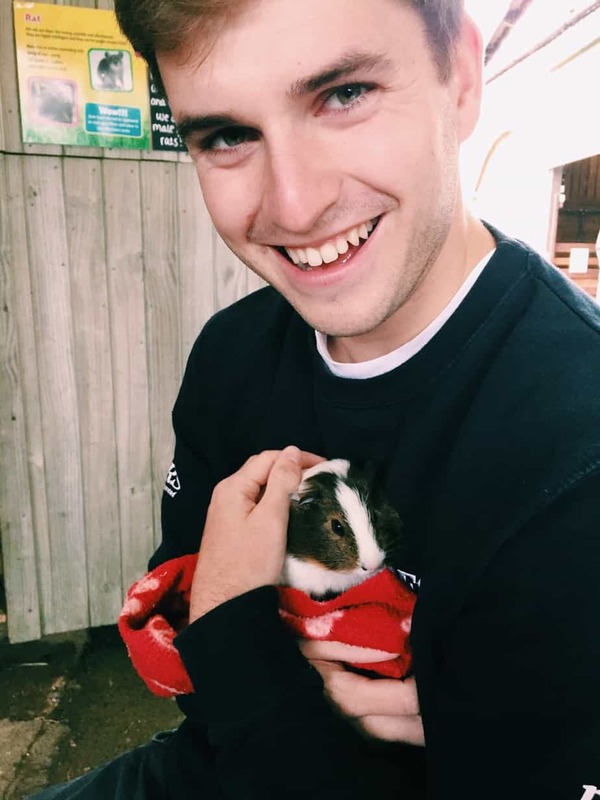 I couldn’t quite believe it, but yes you can actually hold and cuddle the mini pigs at Pennywell Farm. 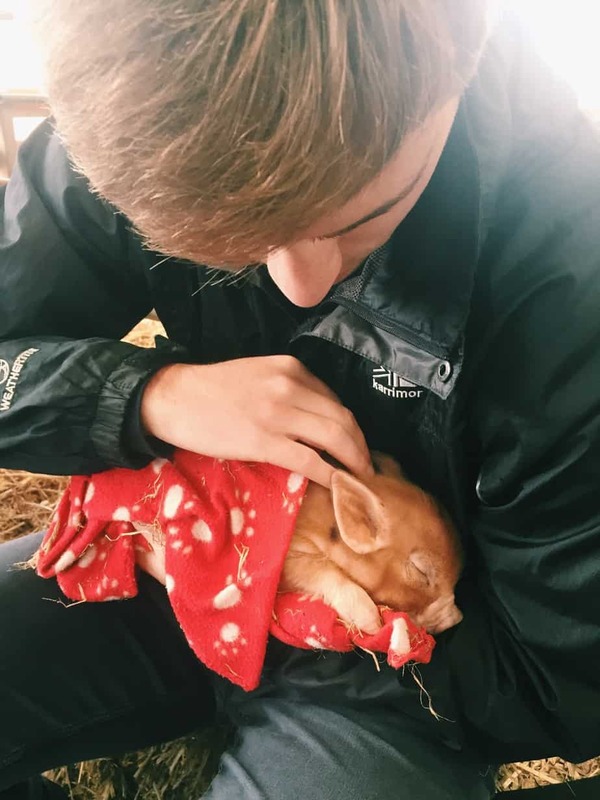 The farm is quite unique in that they have mini pig cuddling all day, every day. 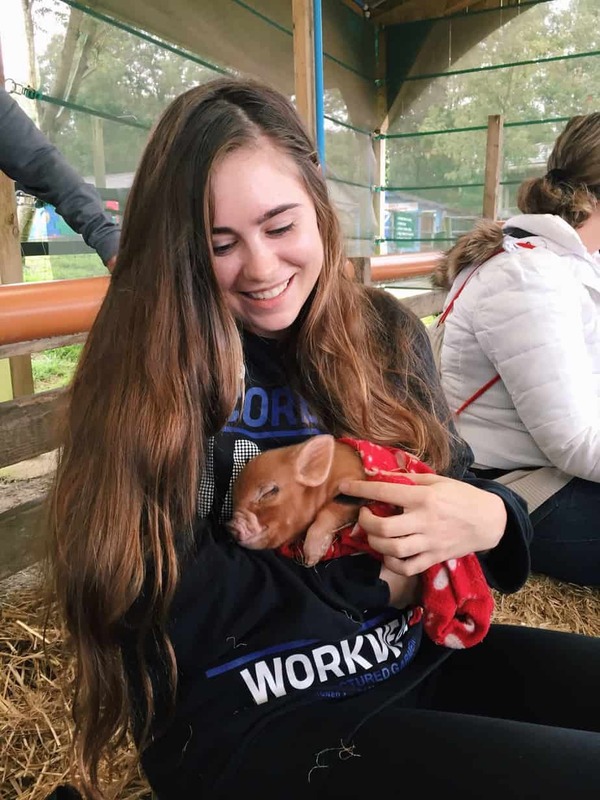 You can pet and play with most of the other animals as well – this is a very hands on farm and I’m all about that! How cute are those babies?! 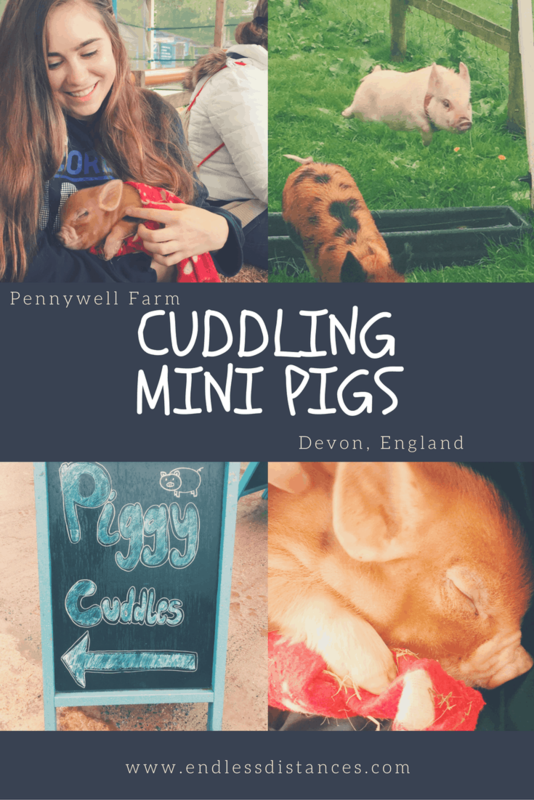 We originally headed to Pennywell Farm because we knew this was the only place in southwest England where we could cuddle mini pigs. 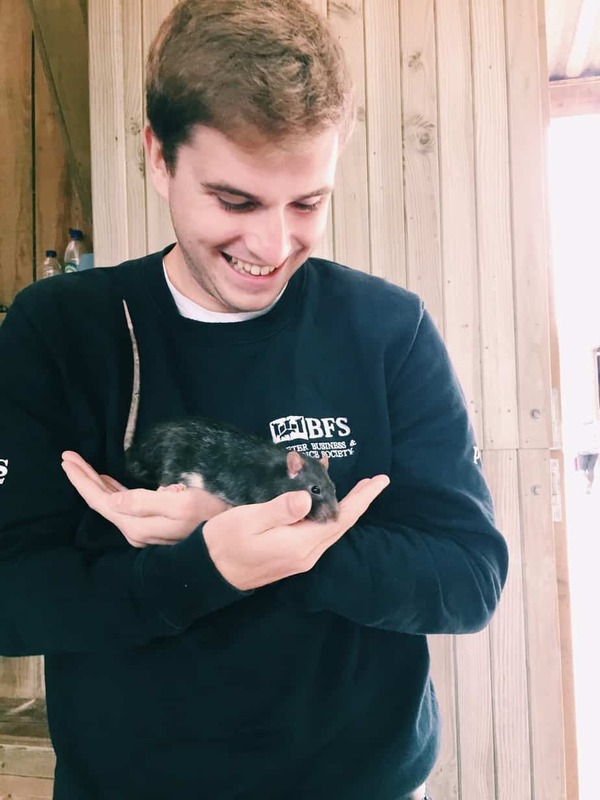 However we also cuddled rabbits, guinea pigs, a friendly rat, and more! 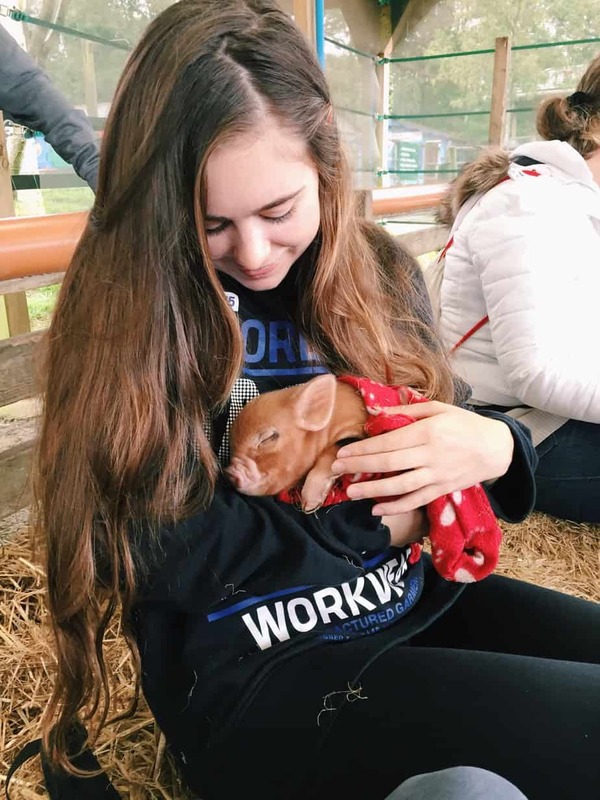 Pennywell Farm holds events throughout the entire day. 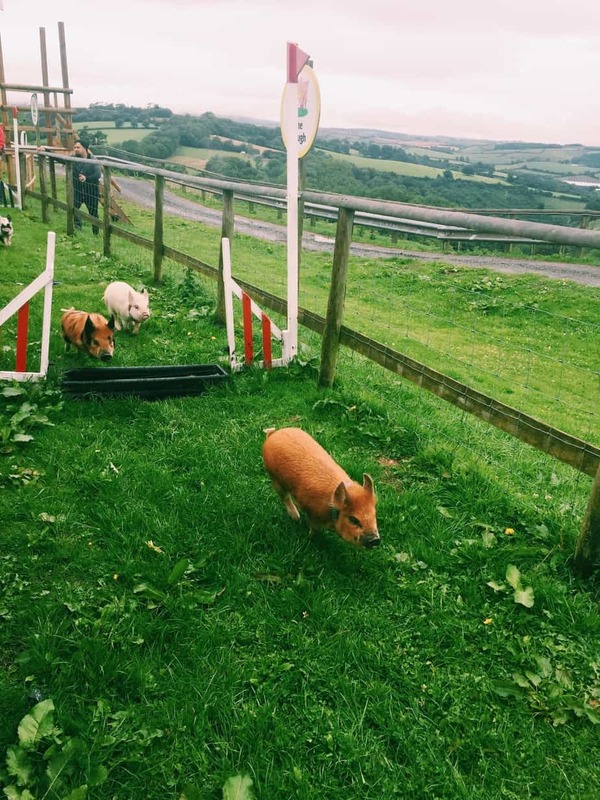 On the day we visited, we saw a falconry show, a hedgehog exhibit, and my favorite: the daily miniature pig races! 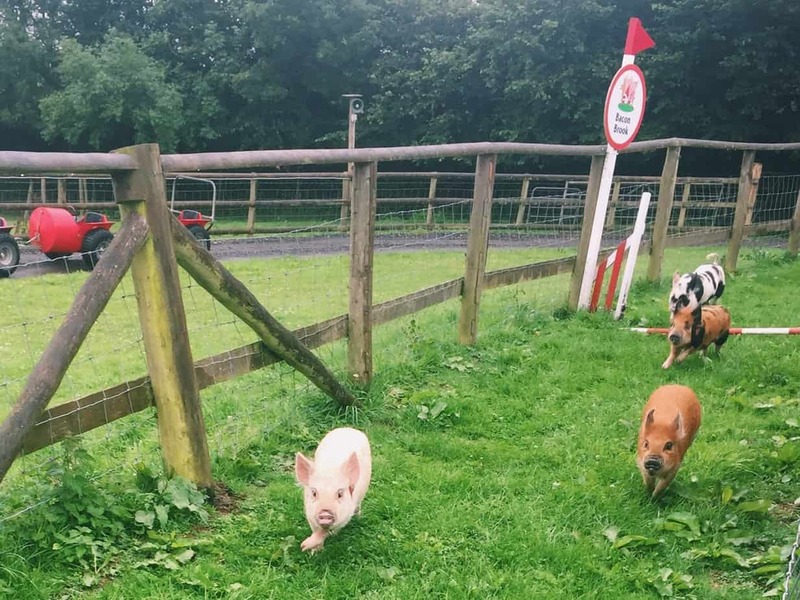 You may be wondering what on earth a pig race is, and let me tell you… very adorable! We visited Pennywell Farm on a rather drizzly day, providing a moody backdrop for the big race. But Amy Swinehouse had a bit more to give! And in fourth Stephen Porking wasn’t giving up! It was a nail bitingly tense experience (I jest). I think I was cheering for the Pennywell pigs more than the many 3 and 4 year olds in the audience. Whoops! 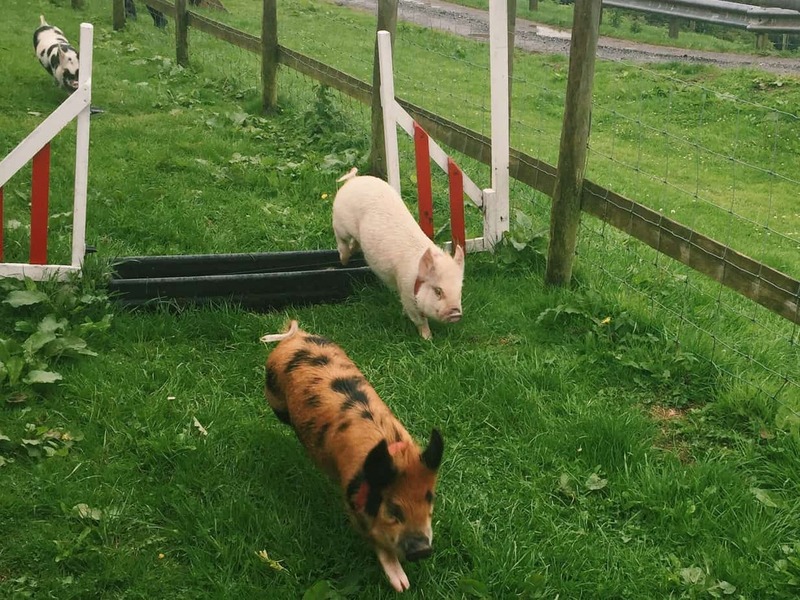 Just goes to show you that Pennywell Farm is a great experience for absolutely all age groups. One reason it took me so long to make it to Pennywell is because it is quite remote (being, ya know, a farm and all). Pennywell Farm is actually on an unnamed country lane. However, it’s situated in Devon, right between Exeter and Plymouth, making it only a 30 minute drive from each city. Public Transit: On public transport, the closest train station is Totnes. From there you can take local buses (the 913) or a taxi. You can also use the website Rome2Rio to get directions from your specific location. 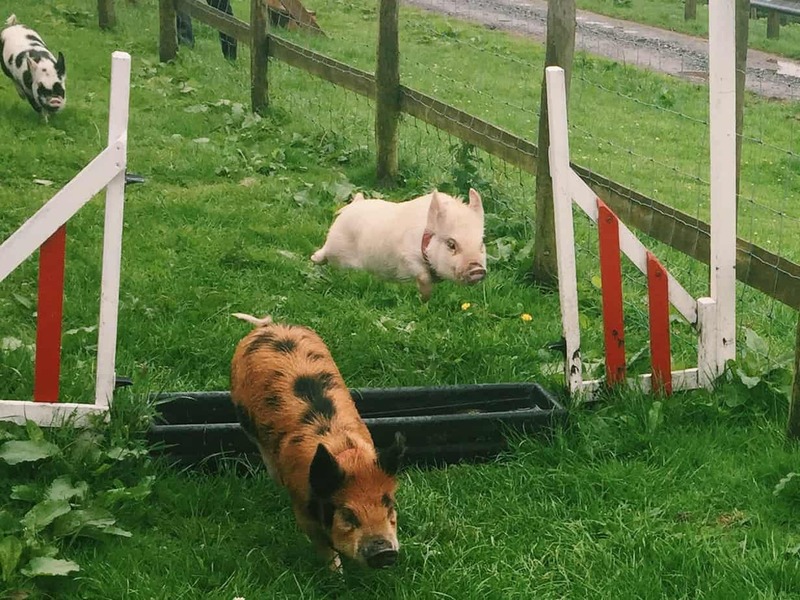 Tickets to Pennywell Farm are reasonably priced if you plan on spending the entire day, which I recommend. They range from £10.95 (students and concessions) to £14.95 for adults. You can check current prices here. The farm is open 10am-5pm when it is in season. It does close during the winter months. For seasonal closures, check here. If you are visiting from further afield, then I definitely recommend taking some time to explore southwest England. My adopted region has so many great things to offer. Close to Pennywell Farm, you can stay in historic and gorgeous villages like Totnes or Buckfastleigh, or in a larger city like Exeter or Plymouth. Plymouth in particular puts you right on the coast and gives you access to Cornwall. Check local hotel deals on Tripadvisor, Hotels Combined, or through the search widget below! So, what do you think? 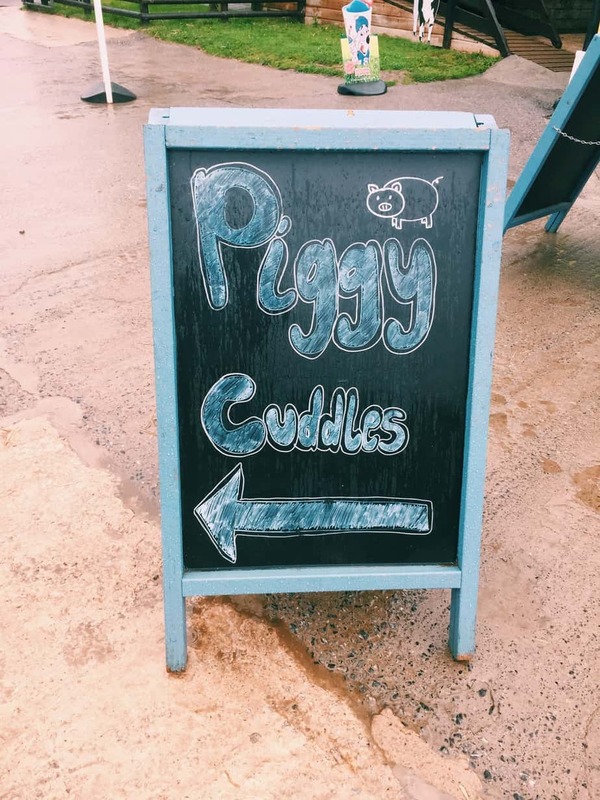 Is cuddling mini pigs in England at Pennywell Farm on your bucket list? More importantly… do you think Amy Swinehouse deserved a rematch?! *This post contains affiliate links. If you make a purchase through one of my links I may make a small commission, at no extra cost to you.